The board found that Joel Bauza, a candidate for City Council in District 15, owed $350 for failing to file disclosure statements, late filing of disclosures, and for failing to document an in-kind contribution. Sean Henry, who ran for the District 42 City Council seat, was slapped with a $850 fine and also told to repay $23,993 in public matching funds received from the CFB. The board fined Catherine Guerriero, who ran for Public Advocate, $5,539 for seven violations, with the largest penalties for accepting contributions over the legal limit. And former mayoral candidate George McDonald was ordered to pay a whopping $34,350 for accepting over-the-limit contributions. If the past is a guide, most of these former candidates will cut the Campaign Finance Board a check and close the book on the campaign. A handful, however, may carry an IOU for years. According to CFB records, as of August 23, some 77 people owe a combined $2.16 million in fines or required repayment of public financing. Repayment of public funds accounted for $1.59 million of that amount. 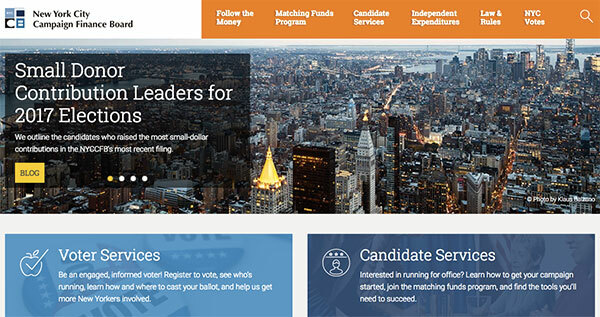 Given the hundreds of candidates who have participated in the city's pioneering and complex campaign finance system — which requires broad disclosure, offers generous public matching funds and restricts fundraising and campaign spending — and the hundreds of millions of dollars that have been raised and spent since that apparatus was launched in 1989, the overdue list is fairly small. The list includes long-shot candidates who haven't been heard from since their bid for public office ended. But Assembly Member David Weprin, State Senator Jesse Hamilton, City Council Member Andrew King, and Deputy Brooklyn Borough President Diana Reyna are on the roster as well. McDonald looks set to join that list. Head of the prominent nonprofit The Doe Fund, he claims his violations were the result of following state campaign finance law, which has more permissible limits for campaign contributions. He screamed at the CFB during its public hearing on his campaign fundraising, claiming he’d never pay the amount assessed. That list of 77 CFB debtors includes candidates who owe fines from as far back as the 2001 election cycle, suggesting that the board's enforcement tools could be sharper. At the same time, the presence of prominent names on the roster suggests that, for better or worse, CFB fines and repayments incurred through races gone by may shape future elections. Crafted in response to municipal corruption scandals during the Koch administration and drastic disparities in candidate spending election cycle after cycle, the city's campaign finance law limits the sizes of campaign donations and requires detailed disclosure of where candidates' money comes from and where it goes. It also offers candidates a chance at public financing: If a campaign collects a threshold amount of money from a minimum number of donors, and agrees to a cap on total campaign spending, the board will match with taxpayer money some portion of the contributions the campaign collects from New York City residents. Along with the introduction of term limits in 2001, the public campaign finance system is credited with permitting dozens of political newcomers to mount credible campaigns for elected office in New York City. In the 2013 cycle, the board sent a combined $38.2 million in public funds to 149 campaigns; private donations to city campaigns in that cycle totaled $95 million. The campaign-finance system's twin missions of preventing corruption and using public financing to foster a more equal playing field lend themselves to strict rules about which entities can donate, how much can be accepted by campaigns, how campaign money can be spent, and the manner in which all of it is recorded and submitted to the board. To ensure compliance with those rules, the board regularly monitors campaign accounts, particularly for candidates who choose to participate in the public matching funds program. In September, a candidate from a 2015 City Council special election in Queens was indicted for reporting fake donations in order to receive public matching funds. She was charged following a routine compliance visit by CFB personnel. The board also conducts extensive audits of every campaign once the election is over — a process that can take CFB staff years to complete. After an audit is complete, the board holds a public hearing where candidates may appear with legal representation to explain the circumstances of any possible violations or to dispute a finding by CFB attorneys. After hearing the case, the board votes on how to address the missteps identified during the review. The most common violations it finds are accepting corporate contributions, accepting over-the-limit contributions, making improper post-election expenditures, or filing disclosure statements late. For violations of the rules, the CFB can impose fines ranging from $100 to several thousand dollars per violation. Candidates and treasurers can also be held personally liable for those penalties. In the 2009 campaign, for instance, 89 of 232 campaigns were told to pay penalties. The median penalty amount for that cycle was $3,786. The board can also order a campaign to return public financing that the board deems the campaign did not qualify to use. Of the 140 campaigns that received public funds in 2013, 87 were ordered to repay more than $1.5 million of the $38 million that was dispensed. Campaigns that have money left over can use it to pay fines, but sometimes — particularly when large repayments of public funds are ordered — there is nothing left. The availability of public financing means city campaigns are now attracting true political novices — a healthy thing for democracy, but a complicating factor when it comes to collecting major fines. Some candidates simply don't have the savings or income needed to pay their debts. Others might just decide not to pay, even though they could. In its penalty letter to a candidate, the board typically gives 30 days for fines to be paid. If a candidate fails to pay fines or repay public funds, their name and the unpaid amount are posted to the CFB website. A candidate can choose to negotiate a payment plan with the board, in which case his or her name is not posted. A candidate may also choose to challenge the board’s decision in New York State Supreme Court within four months through what is called an Article 78 proceeding. These appeals, which are usually resolved within a year, largely go in favor of the CFB. Conversely, if violators do not pay fines, the board can sue them in civil court and obtain a judgement. In those cases, the board can put a lien on a candidate’s property and can garnish their wages. Court records indicate that since 1992 the CFB has sought court judgements against more than two dozen candidates, and often succeeded. Under a 2005 court decision, however, the board has less latitude when it comes to getting public funds repaid. While candidates are liable for fines, campaign committees are responsible for repaying public funds -- and committees often disband or run out of money before those funds can be paid back. The City Council later codified the thrust of the 2005 decision into law, tying the CFB’s hands. Pending repayments, not fines, count for a majority of the funds due to the CFB. The board does still have some leverage, however, against candidates who may want to run in a future election: individuals are unable to receive public funds if they have any pending fines or repayments left. Sixty-three former candidates currently owe penalties to the board; the largest overdue amount belongs to Felipe Luciano, an East Harlem community activist and journalist who racked up more than $54,000 in violations when he ran for City Council District 8 in 2005. Luciano was also a participant in the public matching funds program and was told to repay nearly $17,000. Also prominent on the list: Miguel Martinez, the one-time Upper Manhattan Council member who went to federal prison over a scandal dealing with stolen city money. When it comes to public funds repayment, Asembly Member Weprin's tab dwarfs all others: $319,700. The next highest is Brooklyn Deputy Borough President Reyna, who owes a repayment of $139,000. Martinez also owes the board substantial public funds repayments. Those three, along with 2001 City Council candidate Garth Marchant, represent the four largest debts to the CFB — comprising 36 percent of what the board is owed. Weprin was assessed a substantial penalty for the conduct of his 2009 campaign for city comptroller. An investment banker by trade who chaired the City Council's Finance Committee during his tenure there, Weprin was assessed $28,000 in penalties for violations like accepting money from unregistered PACs or taking over-the-limit contributions. He paid those penalties. “The Assemblyman is committed to a fair election process and the responsible use of CFB funds,” wrote a spokesperson for Weprin, Sumeet Sharma, in response to questions. But the public funds repayment of $319,700 is still due. That stems from Weprin’s campaign opening a so-called segregated account, which is supposed to be used for expenses that public funds can’t be used on, like to make donations to other candidates or to pay debt from a previous election. The CFB concluded that Weprin’s 2009 campaign had deposited into that segregated account donations that were matched with public funds. It ordered the campaign to repay the matching funds associated with those donations. But by then, all the campaign’s money had been spent. The amount owed by the 2009 campaign represents an undeniable obstacle to Weprin seeking municipal office again. In 2015, when David Weprin’s brother Mark gave up his City Council seat to take a state post, David Weprin notably did not vy to replace him--perhaps because he would have had to pay off his CFB debt if he wished to tap into public financing for such a campaign. The fines don’t seem to discourage people from seeking public funds to run campaigns. In the 2013 election, 92 percent of candidates on the primary ballot participated in the program, according to CFB data. But some candidates do complain that the CFB’s disclosure and documentation requirements are severe and that the auditing process is long and drawn out. As is evident from the latest hearing, even though the CFB has about 50 employees, nearly half the agency, working full-time to audit campaigns, the process can take years. To its credit, the CFB carefully examines systemic issues after each election, proposes reforms to be enacted through legislation, and does routine updates to its rules. In September, the board proposed a number of rules changes that would, in part, make it easier for candidates to run their campaigns. The board invited feedback that was heard at the September 15 meeting and will now consider that before approving the changes. He did say, though, that the CFB was “efficient” and “fair” to his campaign and in helping his people navigate the public funds program, and that he wasn’t entirely deterred from participating again. “It’s a good way for candidates to get involved in the process,” he said. Note: this story has been corrected to accurately reflect why Miguel Martinez went to jail, it was not related to CFB funds.